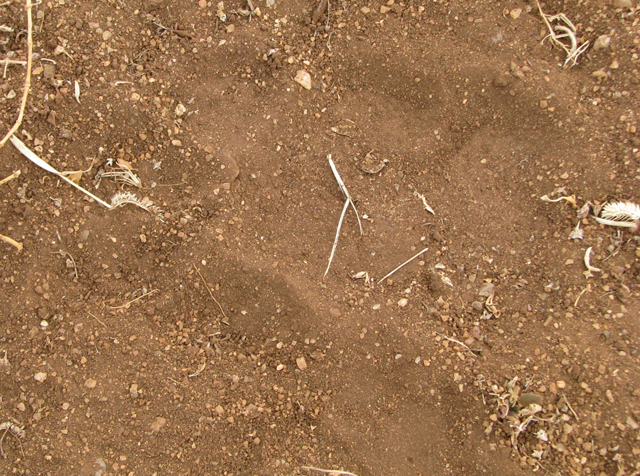 Three lions entered a village last nigh and killed a donkey. The donkey belongs to Lalepo Sipoi. Unfortunately none of the conservation organization compensate for the loss of a donkey. 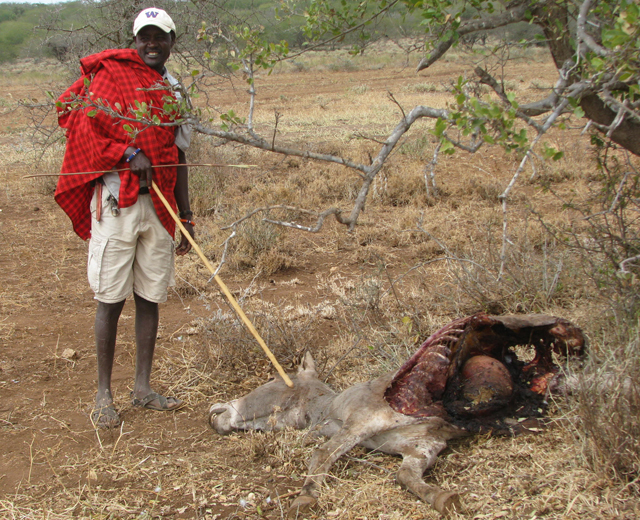 Ole Kimpo showing us a carcass of the donkey killed by a lion last night. 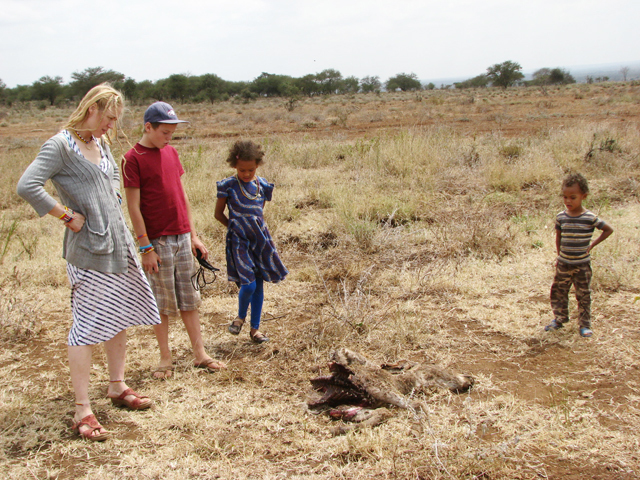 Ruth, Ethan, Acacia and Reteti are perplexed over the donkey killed by the lion. The lion killed the donkey several yards away and dragged it into the bushes where he can eat without disturbance from the hungry hyenas. 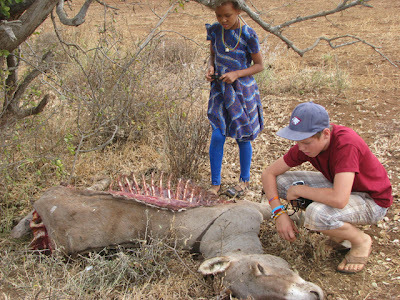 Ethan and Acacia examining lion bites on the donkey's neck. 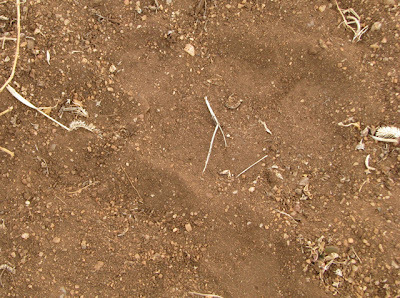 Above is the lion's foot prints. Kids herding goats have spotted the lions in a nearby ravine.